Occasionally I feel the need to share a personal experience with you especially when something impacts me in a profound way. And yet in my day-to-day life I find it nearly impossible to separate the closely intertwined personal thoughts and emotions from my business. The other day I was thinking about my dad who passed away last Thanksgiving weekend after years of battling various ailments. As I thought about him and how close we were, I began to reminisce about moments that we shared as his life was winding down. 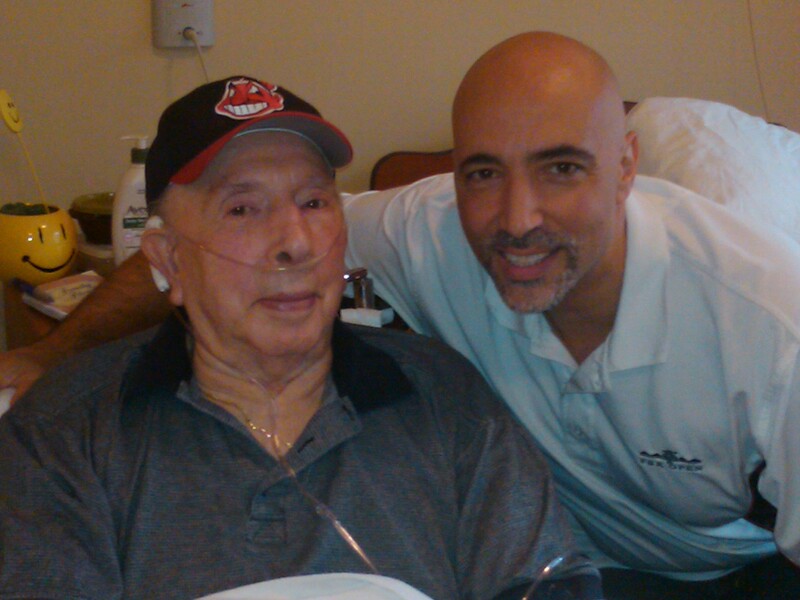 One of those moments took place last fall in his room at the nursing home. He was sharing a story about a prank he had played on one of his coworkers when he was a young man. I had heard the story many times before … it didn’t matter … I could listen to his stories a thousand times over. What struck me most about that particular time was that he was telling the story as if it was the first time anybody was hearing it AND it was the first time he had ever spoken what had happened some 50 odd years before. He was smiling and laughing so hard he could barely get the story out. It was in that moment … the smile and laughter on his face had erased all signs of age or ailment. In that moment … he was 28 years old again. A smile can melt away sadness, erase the effects of age and disease, and can stir your heart . It can remind you to appreciate the ones you love who are still here … and it can momentarily bring back the ones you love who aren’t. The Power of a Smile … what an amazing thing! Maybe today … you can remember something or someone to smile about? Elena thank you for your comments! I know a lot of people miss him … thanks for the comments! Thank you Joe for sharing your personal story with all of us. I sometimes forget as my own mother who is 94 1/2 that she tells her stories over and over again as if it was the first time. What you have shared brings back the perspective that it IS the SMILE and the listening that brings back to them that moment they they so want to share. Because of your sharing, I will hear my mothers stories in a different light. Thank you again for being so open with your thoughts. Blessings!!! Yep, thanks for reminding me of that one. Makes we want to toast pops (with my Black Bull) so we can bring him back and hear it one more time. Have an awesome weekend.